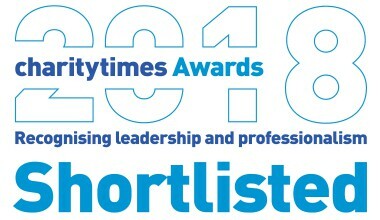 We’re delighted to announce that our chief executive Deborah Alsina MBE is shortlisted as a finalist for Charity Principal of the Year at the Charity Times Awards 2018. This award is given to a charity’s chief executive who the judges believe has consistently delivered excellence in leadership. Last year Deborah was named Charity Chief Executive of the Year in the Third Sector Excellence Awards 2017.